On September 11th, 2001, the United States experienced a terrorist attack unlike anything the world had seen before. Hijackers took control of four planes: one each for the Twin Towers in New York, one that hit the Pentagon, and one that crashed in the Pennsylvania countryside after its passengers fought back against the hijackers. The iconic New York skyline was changed forever, a gaping hole where the Twin Towers of the World Trade Center used to stand. September 11th was the largest loss of life from foreign attack on U.S. soil. Nearly 3,000 people died as a result of the terrorist attacks. 2,753 of those deaths resulted from the attacks in New York. Across the country, medical professionals rushed to New York to help. However, because there were so few survivors from inside the Twin Towers, there was very little for them to do. Just 20 people were rescued from the rubble. Of the thousands who died, less than 300 intact bodies were found. The immediate effects of September 11th were clear. The loss of life, the injuries, and the wreckage brought the nation to tears. However, more subtle effects of the attacks are just now coming to light. An article that was published by WebMD.com two years after September 11th detailed the rising concerns about the mental and physical health of those touched by the attacks. Physically, concerns are centered on the possibility of cancers and respiratory issues. Exposure to smoke and dust can have serious effects on its own. Respiratory problems like sinusitis, rhinitis, shortness of breath, and congestion were common after the attack. The World Trade Center Health Registry was formed to track the mental and physical effects of 9/11. According to recent survey reports, approximately 40% of those with lower respiratory symptoms after September 11th, 2001, were still experiencing those symptoms in 2007. According to Fox News, some physicians are also anticipating increased rates of lung cancers and mesothelioma among volunteers. This is largely because 2,000 tons of asbestos were present in the rubble of the Twin Towers and, inevitably, there was some asbestos present in the dust inhaled by so many people. In fact, the World Trade Center Health Registry has found that the rates of prostate, thyroid, and multiple myeloma cancers have increased very slightly among 9/11 rescue and recovery workers, but the overall cancer rate has not changed. September 11th also had pronounced and far-reaching psychological effects. WebMD.com reports that approximately 20% of the workers and volunteers involved in recovery efforts still suffered some form of psychological impairment, such as depression, anxiety, or post-traumatic stress disorder (PTSD). 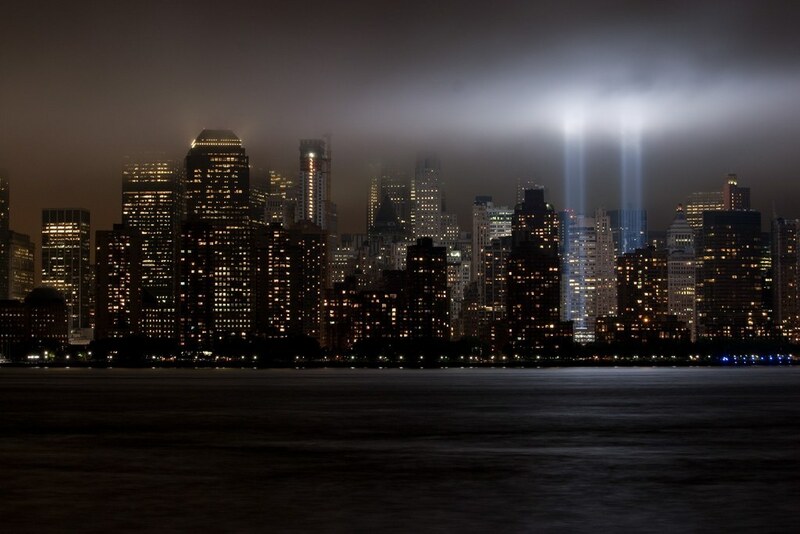 Additionally, thanks to the live, real-time coverage of many of the events on September 11th, many people in places other than New York experienced the “direct exposure” required for the diagnosis of PTSD. There will be multiple opportunities to take part in September 11th memorial events in Colorado to honor the people who suffered on that day, as well as those who continue to suffer. Memorial events will span three days at Lamar’s Tri-state 9/11 Tribute, beginning with a flag-raising ceremony on the morning of September 11th. Events over the 12th and 13th will include live music, a parade, a barbecue, a flag retirement ceremony, and more. Another event taking place in Colorado is the 9/11 Memorial Stair Climb. The first known 9/11 Memorial Stair Climb was carried out by Lieutenant Charles Cogburn of the Albuquerque Fire Department on September 11th, 2003, when he was in Parwan Province, Afghanistan. While wearing his body armor and helmet and carrying an M-4, Lt. Cogburn climbed a two-story building 55 times, in honor of the 110 stories in the Twin Towers. Since that first event, the 9/11 Memorial Stair Climb has spread. Now approximately 30 events take place across the country each year. In 2011, on the tenth anniversary of September 11th, 55 Memorial Stair Climbs occurred all over the world, including events in England, France, New Zealand, and Australia. Two major 9/11 Memorial Stair Climbs will take place in Colorado. One is open only to firefighters. In this climb, firefighters climb the 54-story Qwest Building from the basement up, so that after 2 climbs of the building, the total number of stories ascended is 110. Only 343 individuals take place in this climb, in honor of the 343 firefighters who died on September 11th. Firefighters are encouraged to wear full gear and carry a piece of used equipment to honor the NYFD firefighters who climbed the Twin Towers on September 11th while in full gear. Each participant is also given a badge representing one of the fallen firefighters, so that he or she can carry one of the fallen heroes while climbing the stairs. Another 9/11 Memorial Stair Climb is taking place at Red Rocks Amphitheater. This event is open to everyone and is also often attended by firefighters. Approximately 1,500 people participated in 2013. The route, which includes nine laps of the amphitheater, has been designed to equate to 110 stories. Are you going to take part in a memorial event on September 11th this year?